The U.S. Chamber of Commerce hosted a conference on Tuesday designed to outline the state of the economy and to make a push for various forms of pro-business legislative action. But its choice of venue may have sullied the event's underlying message. Titled "Outlook 2010: The State of American Business," Chamber president Tom Donohue gave the keynote speech in the organization's "Hall of Flags" room -- a space that was constructed with funds from insurance giant, American International Group, Inc., among others. AIG, of course, has come to symbolize some of the most glaring problems of ineffective regulation, exuberant executive compensation and risky insurance policies and market speculation. 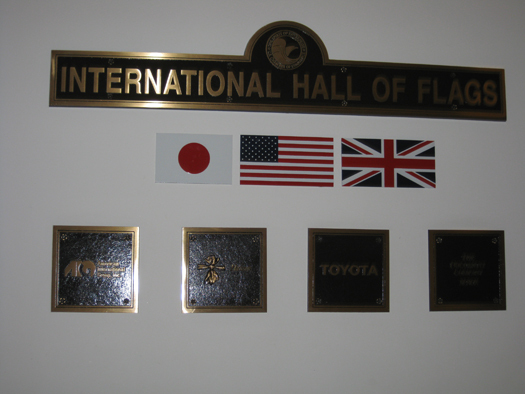 It sponsored the Hall of Flags during headier times for the company. Nevertheless, having AIG's emblem on the wall doesn't exactly help Donohue make the case (as he did on Tuesday) that businesses face serious uncertainty -- and possible calamity -- if proposed reforms of the financial sector are implemented.